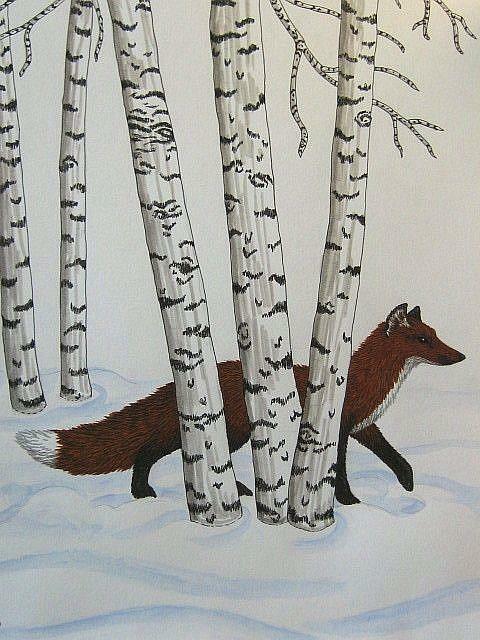 A red fox traveling through a forest of birch trees. After I'd finished, I realized the composition was similar to the famous Magritte painting of the lady riding a horse through a woods. The title is from an album name by my favorite musical group, the British prog rock band Genesis.